September 16, 2017 NEW COURSE - NEW OBSTACLES - NEW FINISH SHIRT! All prices include a ticket fee and 6% VAT and are valid as long as tickets are available. Make sure your team stands out from the rest and boost your team spirit by having your very own team shirts designed and printed! 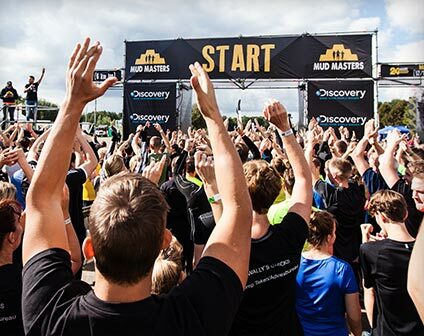 Send an e-mail to teamwear@mudmasters.com for more information. Register for the same distance. You can always start together at the later start time! Mud Masters goes Hamburg again! 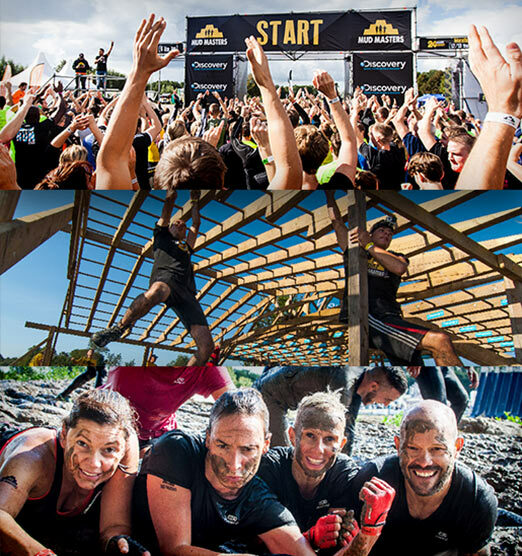 The world’s largest obstacle run is coming back to Luhmühlen near Hamburg! Picture this: Beautiful fields and forests at an atmospheric horse racing terrain, where you and your friends will run, crawl, climb, slide and conquer the most spectacular obstacles together! Once you’ve crossed the finish line, you’ll be greeted with an ice-cold beer at our awesome festival area and you’ll be able to toast to your great achievements and excellent team work. Gather your friends and get signed up together!